Board of Directors | Theopolis Institute | Bible. Liturgy. Culture. 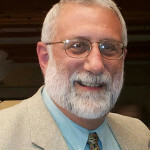 He is the author of many books, including Gratitude: An Intellectual History(Baylor, 2014), Traces of the Trinity (Baker, 2015), Delivered from the Elements of the World (IVP, 2016), The End of Protestantism (Baker, 2016) and a Revelation commentary (T&T Clark, 2018). He writes a blog at Patheos, and also writes a regular bi-weekly column at First Things. He has published articles in many periodicals, both popular and academic. He and his wife, Noel, have ten children and ten grandchildren. Roy Alden Atwood is a faculty member and administrator at Nehemiah Gateway University in Buçimas, Pogradec, Albania, in southern Europe. He previously served at Morthland College in West Frankfort, IL, New Saint Andrews College and the University of Idaho, both in Moscow, ID, and Gonzaga University in Spokane, WA. He has also been a visiting professor to Potchefstroom University for Christian Higher Education (now North West University), Potchefstroom, South Africa; Egerton University, Njoro, Kenya; and Warsaw University, Poland. 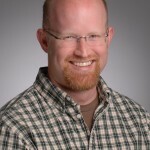 He holds a Ph.D. in Mass Communication from the University of Iowa, an M.A. in Religion from Westminster Theological Seminary in Philadelphia, PA, and a B.A. in Philosophy from Dordt College in Sioux Center, IA. His curriculum vitae and some of his published works can be found at Academia (https://ng-university.academia.edu/RoyAtwood) and ResearchGate (https://www.researchgate.net/profile/Roy_Atwood). He and wife Beverlee have been blessed with two married children, 10 grandsons, and two grand princesses. Uri Brito was born in Natal, Brazil. He has lived in the United States for over 20 years. 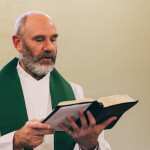 He received his Bachelor’s in Pastoral Studies from Clearwater Christian College and graduated from Reformed Theological Seminary with an M.Div. He is a certified counselor through the Association of Biblical Counselors (ABC). 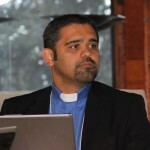 Pastor Brito has been the Senior Pastor of Providence Church in Pensacola, Fl. since 2009. He is the editor of The Church-Friendly Family and the author of The Trinitarian Father. He is married to Melinda and they have four children. Rusty grew up in Covington, Louisiana. He received a B.S. in Management from Louisiana Tech University in 2001. Rusty has split his career between the fields of real estate and ministry administration. He moved to Moscow, Idaho in 2005, after a stint in classical school administration, to study theology at Greyfriars’ Hall. He taught at Logos School during this time, and then became the staff deacon for Christ Church in Moscow, Idaho. He’s had the privilege of leading or assisting ministries serving international students, pregnant teens, ex-convicts, the homeless, and other demographics in need. He is currently a real estate developer and manager and an elder at Valley Covenant Church in Lewiston, ID. Rusty is married to Melodie Anne, his partner in ministry and the tireless homeschool mom of five sons and one daughter. 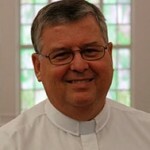 Jeff Meyers has been the Senior Pastor at Providence Reformed Presbyterian Church (PCA) in St. Louis for 20 years. He graduated from the University of Missouri at Columbia (’79, B.S. Geology). After serving as an officer in the U.S. Army for 4 years, Jeff attended Covenant Theological Seminary in St. Louis, but took three years off to teach at a Christian school in Texas. Upon graduation from Covenant Seminary (’88), he served three years as an Associate Pastor in Huntsville, Alabama, and then three years as Pastor at Covenant Presbyterian in Houston, Texas. Since coming to Providence in 1994, Jeff has earned his Master of Sacred Theology (S.T.M) and finished his Ph.D studies (ABD) in Systematic Theology at Concordia Theological Seminary. 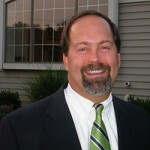 Pastor Meyers is a member of the Board of Trustees at Westminster Christian Academy in St. Louis. He is also a visiting instructor at Theopolis. Jeff and his wife Chris give thanks for 35 years of marriage and four faithful children: Rebekah, Lauren, Julia, and Jeffrey Jr. Jeff enjoys walking, competitive shooting, hunting, photography, science fiction, and cooking. Pastor Meyers is the author of The Lord’s Service: The Grace of Covenant Renewal Worship, as well as the popular commentary Ecclesiastes Through New Eyes: A Table in the Mist, and many other essays and articles. Steve Wilkins was born in Mobile, Alabama, graduated from the University of Alabama with a BS in pre-law, and received his M. Div. from the Reformed Theological Seminary in Jackson, Mississippi. He was ordained in the PCA and served congregations in that denomination for 32 years before transferring to the CREC in 2008. He is married and he and his wife Wendy have 6 children and 6 grandchildren (with one more on the way). Wilkins has served as Pastor of the Auburn Avenue Presbyterian Church in Monroe, Louisiana, since 1989. James Jordan was born in 1949. His father was a professor of French Literature and his mother a piano teacher and a poetess. He graduated with an A.B. in 1971 from the University of Georgia, with a major in Comparative Literature and minors in Music and in Political Philosophy. He served as a Military Historian in the US Air Force for four years. He began seminary training at Reformed Theological Seminary in Jackson, MS, and graduated with an M.A.R. and a Th.M. from Westminster Theological Seminary in Philadelphia, majoring in Systematic Theology. He thesis was on Slavery in the Bible. In 1980, Mr. Jordan became director of Geneva Ministries in Tyler, TX, where he also served as a pastor in a Presbyterian congregation. In 1987 he founded Biblical Horizons, presently located in Niceville, FL. He was awarded an honorary Doctor of Letters from Central School of Religion in 1993. Beginning in 1999, Mr. Jordan served part time as Professor of Biblical Studies at the Reformed Theological Seminary of St. Petersburg, Russia. Mr. Jordan is married to Brenda, and has two grown sons, Dale and Douglas. He is author of more than a dozen books, scores of monographs, and hundreds of short essays. 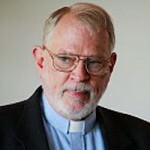 He writes and lectures mainly in the areas of Biblical and Liturgical Theology. His most recent book is The Handwriting on the Wall: A Commentary on Daniel. He is presently at work on a commentary on the book of Zechariah.